Twin Hollow Campground and Cabins is Southern Virginia’s Mountaintop ATV Resort. Located off Rt.52 near the town of Gilbert, WV, Twin Hollow offers 11 Mountaintop Cabins along with spacious Mountaintop Camping with options from primitive to full hookup available. We also now offer a resort property “Papaw’s Place” which is a 3BR/2Bath house in Gilbert, WV. Our guests have Direct Access to over 300 miles across 3 of The Hatfield McCoy Trial Systems (Rock House Trail – Devil Anse Trail – Buffalo Mountain Trail). Twin Hollow is also centrally located, within 25 mins. to the Bear Wallow Trail System, & within 45 mins. to the Pinnacle Creek & Warrior Trail Systems, allowing for easy day trailering to these trailheads and allowing our guests to ride all 8 of the Hatfield McCoy Trail Systems during their stay with us. Also located onsite at Twin Hollow is Trail 12 BBQ. Open Daily 11:00am-9:00pm offering Hickory Smoked Baby Back Ribs, Pulled Pork, Smoked Chicken, Smoked Burgers, Specialty Hot Dogs and much more. Everything is homemade & all meats are seasoned with our secret recipe dry rub. Now open for Breakfast 7:00am-11:00am Friday, Saturdays, & Sundays and catering is also available! 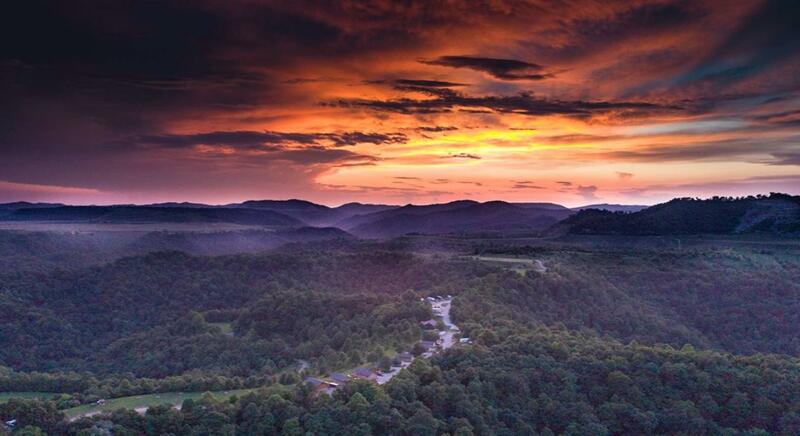 So whether you’re coming to hit the trails or just looking for a place to kick back, relax, and enjoy the southern atmosphere; come stay with us and find out truly why West Virginia is said to be almost heaven. Check out our website, like us on Facebook, & call for your reservations today! Twin Hollow is an Authorized Vendor of the H&M Permits & Souvenirs! Twin Hollow is Locally Owed & Operated By The Ellis Family!